Micah was three weeks old when the excruciating pains in my body left me doubled over; just as I was beginning to recover and my womb had reduced back to that pear-like shape that the Miriam Stoppard books so beautifully describes. The bleeding and the after pain and the walking like John Wayne had diminished and then I got ill. It was a summer’s day; the warm sun was glistening and comforting on my home birthed boy who needed nothing more than a cloth nappy and a sleeveless white vest showing off his kissable arms. I traipsed my three children to numbing doctor’s appointments, chemists, blood test clinics yet no one seemed to know what was going on. I finally called in the cavalry; my mother-in-law held down the fort downstairs whilst I slept, held my stomach and cried between feeding intervals when she would bring Micah upstairs so I could nourish my son. What would be my final trip up to my doctor’s surgery with my brood resulted in two doctors trying to convince this super-woman-being-so-stubborn mother to go.to.hospital. My infection levels were really sky rocketing and my doctor commented on my obvious high pain threshold and said I shouldn’t have even been walking. I called Dave at work and all fell into place; like it should when we let go. I was admitted to a private room at the local hospital with a transparent cot by my side so Micah could stay with me; the interns and student doctors and consultants busily researched the appropriate antibiotics for a breastfeeding mother who refused to ‘pump and dump’ and with a final diagnosis of a major kidney infection (mostly major due to the fact they discovered one of my kidneys has been non-functioning since birth) I was cared for, medicated, hydrated and after two nights sent on my way to heal but mostly to realise that it’s ok to not be ok. Authentic, wholehearted parenting means being exactly that – authentically you. Every woman must and will walk her own journey of motherhood treading carefully in faith and fragility. It’s that perfect place to be able to believe in ourselves and our ability to raise our children but being free to sing of our imperfections and ask for help when we need it. Let vulnerability reveal her freeing ways and watch; maybe a community of not-got-it-all-together mothers will gather around you. You may not have a mother rushing to collect your washing, a neighbour eagerly ready with a casserole and home-baked ciabatta. You may not have sisters to help scrub and clean and de-ice your windscreen but you do have a voice. Let vulnerability reveal her freeing ways and watch; maybe a community of not-got-it-all-together mothers will gather around you. It really is ok to not have it all together, to not get it right first (or second) time, to be in a mess or not quite know what your next move is. Grace is the forever giving and living hand of God reaching out and saying ‘let’s do this together’; and His grace is infectious and explosive and leaks out of us and makes us like Him. So let’s reach out to each other in heart and words and deeds and let’s ‘do this together’. 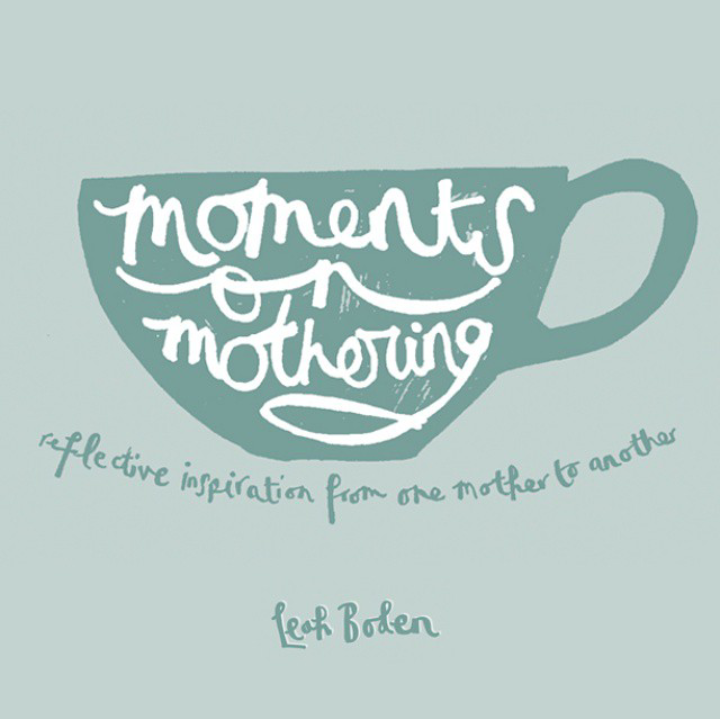 This is an excerpt from ‘Moments On Mothering’ – available on Kindle today! Previous Post Get The Most Out Of Monday!